Whether you're a fan of Yohji Yamamoto or just like the color black, this drop is for you. 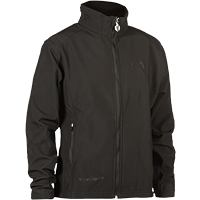 The key piece in this drop is our Black Line Softshell Jacket. Knitted from high quality 100% polyester and heavyweight 8 ounce DWR fleece, it's the perfect transitional piece as the summer sun sets for autumn. The modern fit and streamlined details will match everything from a minimalist aesthetic to more techwear inspired outfits. 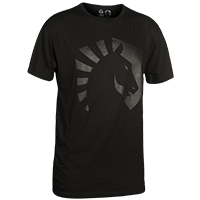 If that's not enough black for you, you can now get our Liquid Logo tee in fashion's classic color. It's still your favorite tee, but in two shades of black. You can complete your blacked out look with two classic accessories in a brand new colorway. 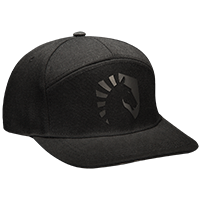 Our Snap Back has received a lowkey update: all black with a subtle Liquid logo. Sleek, refined, and perfect for your monochrome looks. 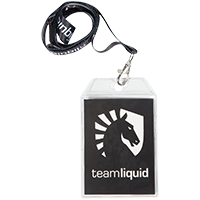 Our lanyard is also now in black because if once you go black... you sorta want everything to be coordinated, you know? We're excited to see what dope fits you guys show up in using our black line (esports techwear, anyone? ), and look forward to more cool stuff in the future through our partners J!NX! Make sure to follow our newsletter for updates on sales and new promotions and items. Can't tell if the images are just the old ones in black and white or not. It all looks sick to me. I misread the headline and thought a certain player was somehow joining. I'm struggling to see the durability of the logo and lettering throughout prolonged use. How is the experience in the team or with people having bought a white one? It looks quite thicker than on that though. These look amazing. EU shop when? Logo has not faded even the slightest bit on my white one, and I've used it a lot, and washed it on multiple occasions. I got the white jacket after GFinity (TLO let me check out his) and it has worn well, the logo is not faded at all. None of the TL merch that I have has suffered from wearing or multiple washes. Did you edit this add on purpose so one can't actually tell how the shirt really looks when light sines on it? Thanks for sharing your experience guys. Now I'm even more enthused about it!